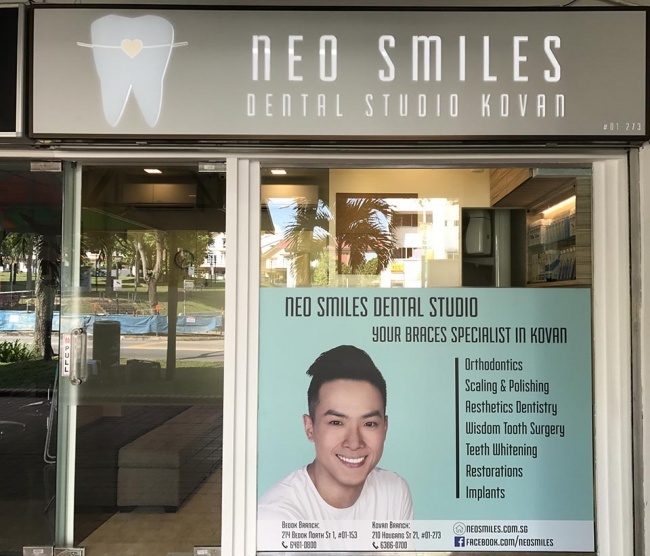 Neo Smiles Dental Studio is located within walking distance from Kovan MRT, across the road from Paya Lebar Kovan Community Club, and down the block from MacDonalds Kovan. Neo Smiles Dental Studio Kovan is located within easy walking distance of Kovan MRT, on the Northeast line. 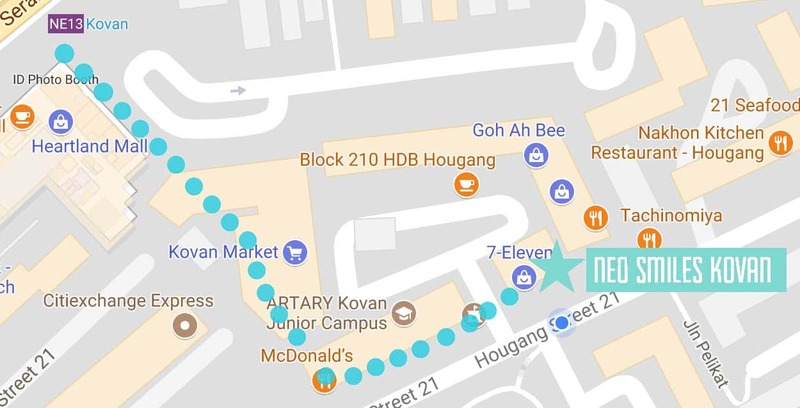 Take Exit C towards Heartland Mall and follow the blue dots as indicated in the map above. Kovan is well-known food heaven, with the Kovan Food Centre and several niche restaurants and cafes, including zi char options and crabs!